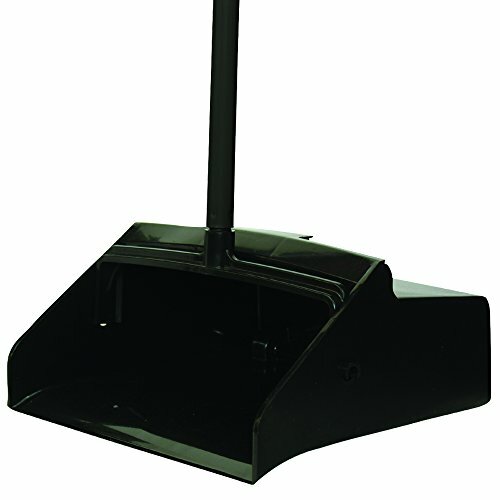 O'Cedar Lobby Dust Pan. Constructed from high impact polypropylene. Ultra thick edge makes sweeping up particles quick & easy. Swivel pan and special T-bar locking feature facilitates easy filling, emptying and upright carrying. Durable rear wheels improve wear resistance. Features a 30" metal ribbed handle.